If you’ve got it, you’ve got it. Some people are just born entertainers. From the perfect food, to the best party playlist, to amazing decorations, some folks always throw stellar soirées. 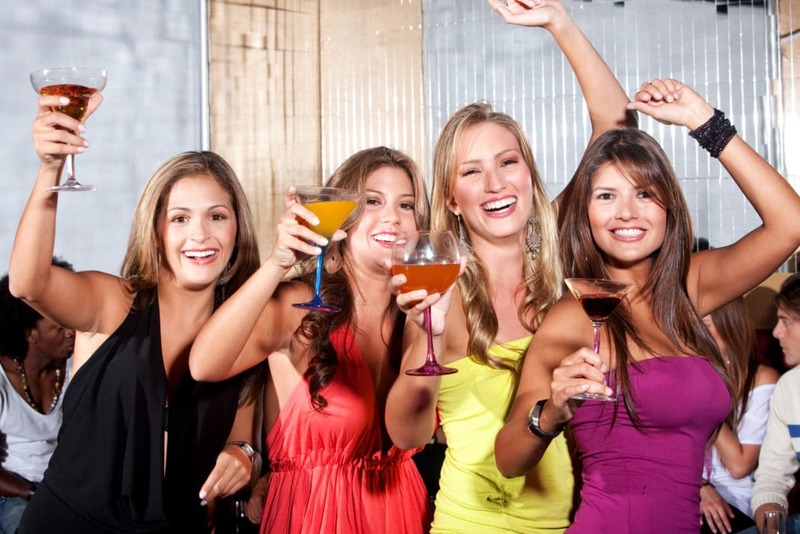 However, the extravagance of a party often relates to the budget. Obviously, a millionaire can throw an impressive, lavish event – but what if your budget is of less epic proportions? From a small gathering to a bigger affair, you don’t need a huge bank account to throw a party that will have everyone talking at brunch the next morning. Most of your party budget will go toward things that you feel are the most important to your event. When I throw a party, I prioritize decorations, so I always allocate a large chunk of my budget to candles, banners, and any other mood-setting devices that fit my theme. It’s fine to spend a little extra on your priority items, but that might not leave much for anything else. In this case, try some DIY projects and enlist the help of your friends to relieve some of the financial burden. Here are some of the best tips for entertaining on a strict budget. Unless its a wedding or formal event, your party doesn’t need paper invitations. Instead, opt for email invites using Evite. They’re free to send and allow your friends the option to instantly RSVP. If everyone you wish to invite is on Facebook, you can also create an event page to dole out food assignments, as well as to receive playlist requests for the evening. It’s the fastest way to tally guests, and you’ll know in advance how much food to purchase. While you may love spending money on fancy decor, some of the stuff you have sitting around your house could be perfect for your party, and it won’t cost you a dime. Instead of stressing over your lack of swanky china, mix and match three or four designs of bowls, plates, and cups. The effect is vintage, quirky, and most importantly, cheap. Looking for the perfect place cards? Grab everyday items and use a tag and a Sharpie to add names – pine cones, small Chinese takeout boxes, and even cheap dollar store votive candles work perfectly. Skip the pricey fresh-cut flowers and use groupings of objects to create centerpieces. A grouping of different-sized candles or vases filled with citrus fruit last longer, and you can even send some home with guests. Filet mignon? Please. You don’t need to serve pricey cuts of meat to impress your guests. Instead of adding full entrees to the menu, try offering a smattering of appetizer-sized edibles – you’ll save major dough on your food budget. Soup shooters, meat skewers, and dips fill up your guests on the cheap without sacrificing taste. If you’re really strapped for cash, consider making your party a potluck dinner. If the word “potluck” gives you pause, try presenting the party as a “recipe exchange” for salads and desserts, and then provide the main dish yourself. Alcohol can be one of the worst budget-busters when it comes to throwing a party, especially if you need to buy full bottles of a variety of alcohol. Instead of buying your supplies from the liquor store, go the “chic” route and pick a signature drink for the night. That way, you only have to purchase one or two types of alcohol, and you can specifically base your drink around a cheaper wine spritzer over pricier liquor. Just be sure to supply non-alcohol drinks, like sparkling water and punch, for your thirsty guests and designated drivers. Play the role of DJ by loading your smart phone with the Pandora or iHeartRadio apps. They allow you to create your own “radio stations” tailored by mood or similar artists. Throwing a cocktail party? Load up on Michael Buble and Frank Sinatra. Christmas party? Add an all-holiday station. Anti-Valentine’s with the girls? Kelly Clarkson all the way. If you choose premium memberships, the tunes are commercial-free – otherwise, you’ll get a 15-second break every 30 minutes or so. 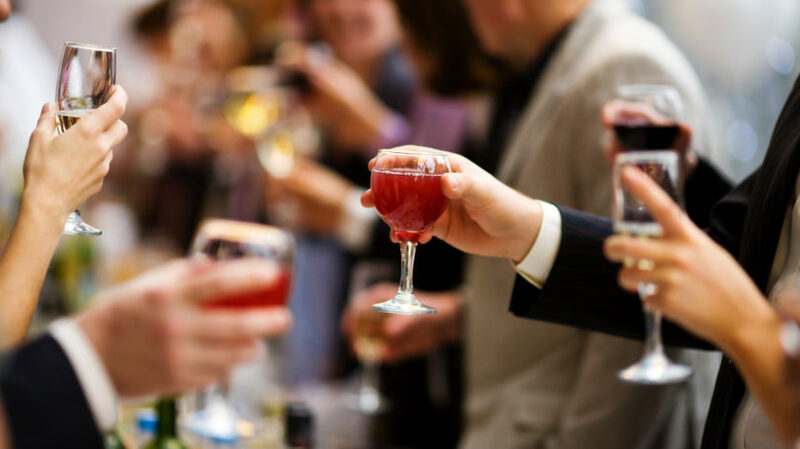 An economic recession might not exactly put you in the mood to party, but hosting a night with friends can help you loosen up. By skipping the pricey extras and getting creative with your food and decor, you can throw a cheap party that has the same effect as a pricier fete – time with friends, good food, and epic stories to rehash over breakfast the next day. What other great budget party ideas have you tried out?